We all go through different stages of life. Different life scenarios. Different seasons of life. Circumstances can change our lives drastically, often without letting us know in advance. Or, we find ourselves getting older and older, hoping that “the next year” is when we will get in shape. Right? I seriously have a case of the yo-yo exercising plan! Granted much of it has been out of my control, but I can’t help but wonder if anyone else goes through not just yo-yo dieting, but yo-yo exercising? I remember in 2016, I worked hard to get in shape. Mazy was finally not walking up umpteen times a night and I was able to start getting up a little bit earlier to exercise. I knew my heart was healthy and I was going to take advantage of it! I was doing Jillian Michael’s 30 Day Shred videos and could actually finish all the levels. I don’t say that to make you think “oh look at me…” I say that because it was a healthy time for me. Then those videos got harder and harder to do, and I could not figure out why! Then I learned that my mitral valve was leaking severely. I can’t help but wonder if all those Jillian Michael’s reps did a number to my heart, but regardless, my heart was going south. Now with surgery looming in the future, I wanted to ensure I was in the best shape possible before my surgery, so that I could recover quickly. Then surgery number 2 happened. I was so weak that I had to reteach myself how to walk, with every step being a challenge. Once I got out of the ICU, I met with a physical therapist and realized that I had no back, neck, or core muscles left. As a result, I had to have a physical therapist come to my home twice a week for about a month, to reteach my body how to move correctly and regain my strength. Needless to say, it was a humbling experience. Now I look back and wonder where in the world that strength of 2016 went? I know I’m two surgeries in, but we can all fill in that year or that time in our life, where we felt like we “arrived” but then wonder what happened? The more I look back on my life, the more I realize that all we can do is just do what we CAN do. Much like EVERYTHING in life, there will be good seasons and tough seasons – even when it comes to exercising. But what I think can be unhealthy, is experiencing that one tough change and holding onto it as an excuse for the future. You know what I mean? I too, start to feel my defense fences emerging as I read that too. But hear me out. I tried to do crunches the other day to increase some muscle in my core, now knowing my heart is a “little” bit healthier again. I say that loosely because my heart is still not great, but considering where I was in May (where I spent a week in the hospital again), it’s a tad better. So I wanted to do SOMETHING. Well, my floating rib reminded me the next day that it was not a good idea. And that’s where this whole yo-yo exercising idea came about. Oh how I’d love to just be able to do what I want to do when it comes to exercise. I’d just LOVE to be able to run again. To be able to do a Jillian Michael’s video. But folks, that just ain’t gonna happen. But what is going to happen is me waking up everyday, with gratitude that I can walk, and walking it is! That is one thing God has given me the ability to do and that is what I try to do to some extent as often as I can. If it means walking with Mazy while she rides her bike, great! If it means pushing her in the stroller to get a donut at the bakery, you bet! If it means walking in the sand to the beach (that is some serious exercise), well then I’m sure going to do it. Don’t depress yourself and say “all I do is yo-yo exercise.” Look at your life! Why do you have different seasons? Whatever those reasons are, don’t let them determine your future. While at cardiac rehab, I vividly remember seeing guys 40 years older than me, just killing it on the treadmill. I remember trying to choke back tears thinking “I will never get there.” Then one man said to me, “We were all beginners at one time too.” That statement still brings me to tears! It was like he reached down into the depths of my soul, pulled up the one thing that was so hard to accept, hugged it, and told me to go for it. And I did. I walked away from rehab being able to jog. Granted I have declined again, but it’s not a yo-yo. It’s accepting the circumstances God has me in, but not allowing them to make me quit and fear moving forward. God has given us the opportunity to be stewards over all He has given us, including our bodies, so don’t ever think “I will never get there.” A feat is a feat, folks! 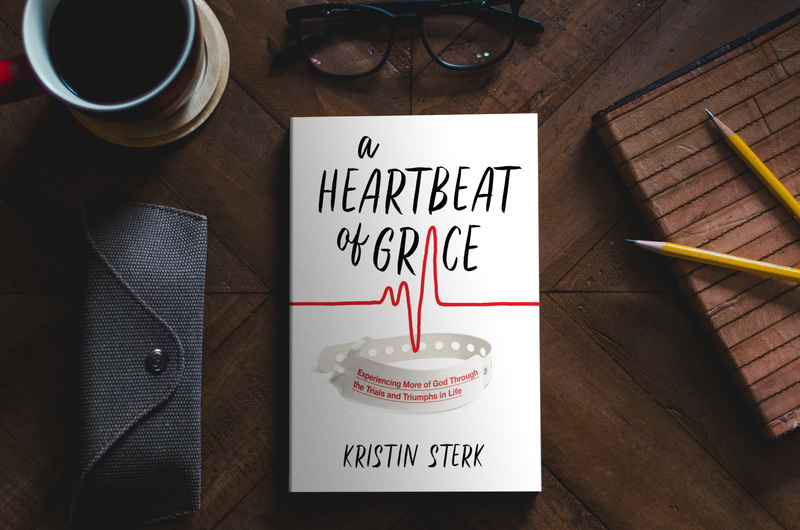 « A Heartbeat of Grace Is Now On Goodreads!